With standard network printing, copy and color scanning functions this highly efficient desktop letter/legal multifunctional printer is small, compact and quiet. The standard document processor feeds reliably and improves your productivity. 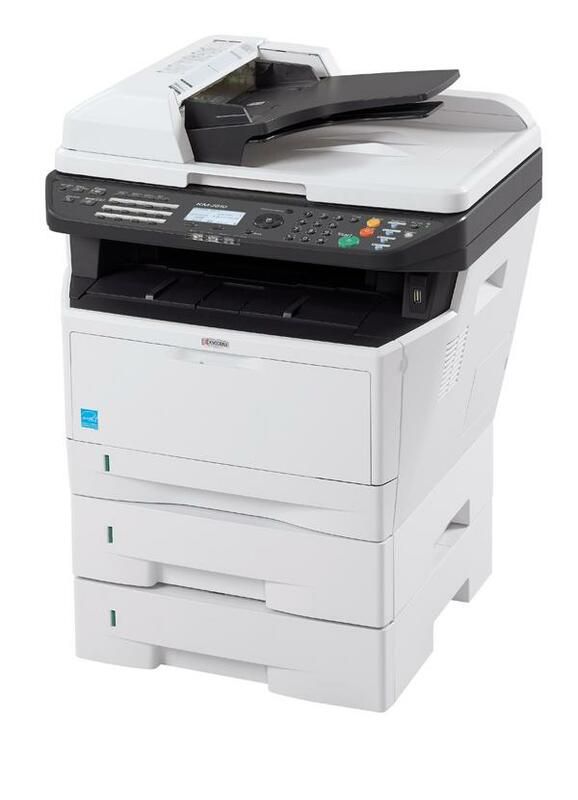 Designed with ultra reliable ECOSYS technology the 30 ppm FS-1028MFP/DP is a MFP that small business and workgroups can rely on everyday. And with its long life drum, toner and easy to replace toner container you will enjoy a low total cost of ownership compared to typical all in one models.